Blokes are having their time in the sun in Port Macquarie, with an action-packed line-up of new attractions putting the region on the map for a boy’s getaway. Jump on bikes at the newly opened Jolly Nose Mountain Bike Park, board a new helicopter joy-flight and land at the world-class Stoney Park water sports centre, then hit the waterfront bars for ice-cold beers. 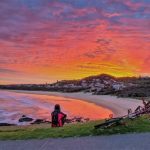 “A huge sports loving region, Port Macquarie is the perfect playground for boys to bond with adventures at every turn. 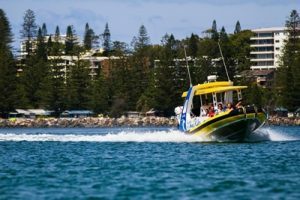 Our operators offer a huge diversity of experiences with jet fighter flights, fishing charters, surf lessons and BBQ boats to hire.” said Liesa Davies, Economic Development at Port Macquarie-Hastings Council. 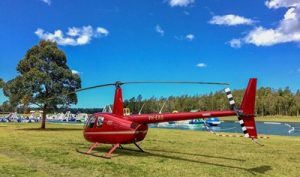 “Combined with great value accommodation and stunning natural scenery, Port Macquarie is one of the best places in NSW for a getaway with friends.” added Liesa. Port Macquarie is located on the Mid North Coast of NSW, boasting 17 gorgeous beaches, a lush hinterland, a diverse variety of attractions including the Koala Hospital, Billabong Zoo, river cruises, and a choice of accommodation from 4.5-star luxury hotels to camping by the beach. Top it off with one of the best year-round climates and a busy events calendar, it’s no wonder this is one of Australia’s most popular holiday destinations, and the friendly locals will welcome you with open arms.